It’s nwidodgy fashion week! Inspired by lookbook.nu, and from my 25 cent purchase of an Old Navy sweater at a local thrift store, I’ve decided to highlight some fashion. Old, new, whatever. For starters, this is a favorite T-shirt of mine. 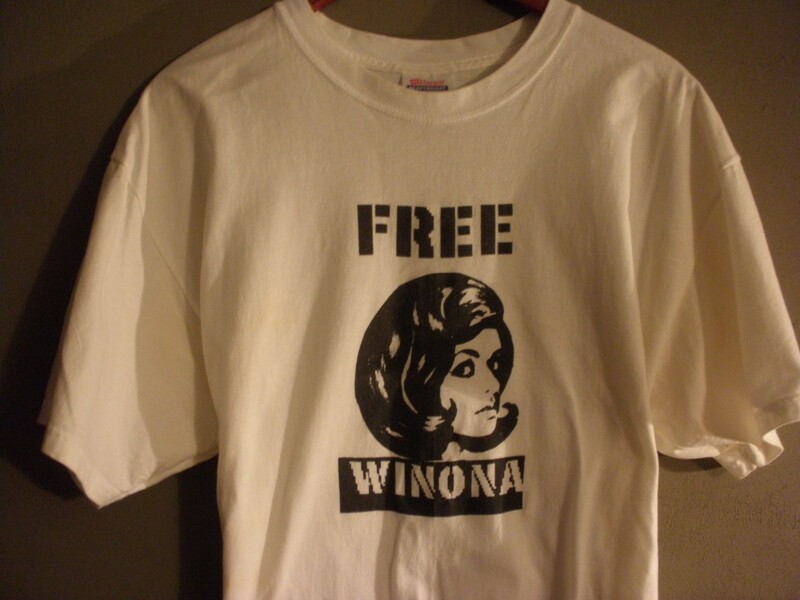 In honor of Winona Ryder following her theft charge and arrest in the early 2000s, I believe.